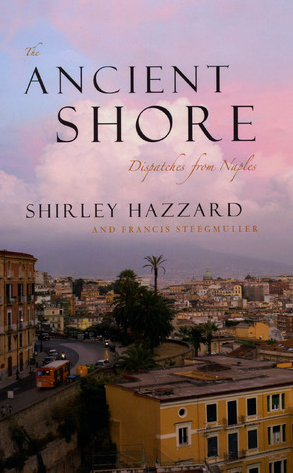 “…are constantly called upon to defend her…” writes Shirley Hazzard in her “The Ancient Shore: Dispatches from Naples“. And yet how can you not? That’s what I thought when the Times came out with this article a few days before Christmas: “In Naples, Gift of Coffee to Strangers Never Seen” about the Neapolitan tradition of buying two coffees at an espresso bar and only drinking one, leaving behind the paid receipt on the second one for someone who can’t afford it — “sospeso,” suspended — to enjoy. There may not be anything particularly Neapolitan about such a tradition of anonymous generosity — except perhaps the poverty it was born from. But there is something distinctly Italian about the idea that even the poorest person deserves a moment of luxury and pleasure. You could leave old shoes or clothes too. Or donate money to someone. 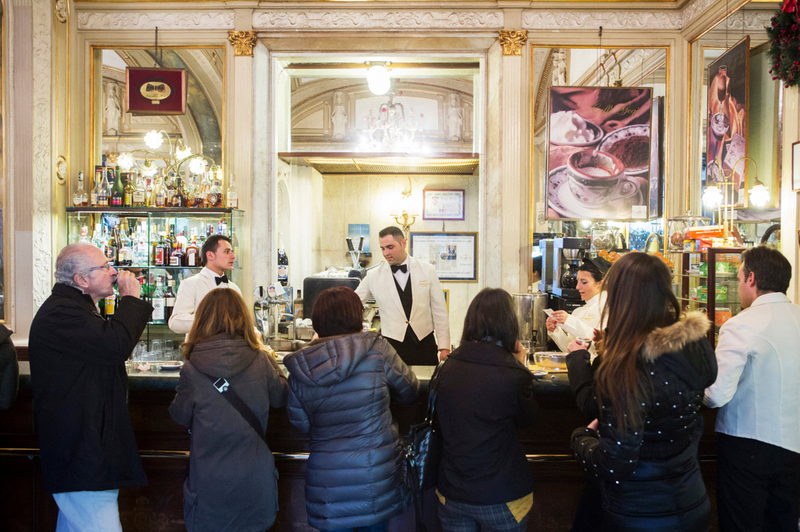 But an aromatic stretto is a gift of a different order because it confers another order of dignity on the recipient: a moment of rich joy at a beautiful place like Gambrinus (shown in pic). Surfeit and excess has always been the mark of sacrifice and offering. I remember going to the Virgin of Guadalupe on Fourteenth Street here in New York once on December 12th, her feast day. And young Mexican guys bringing massive flower arrangements — massive, layered, wedding-like affairs — in her honor; bouquets that easily could have cost these guys a night’s restaurant pay or more. But, in some sense, sacrifice is about being free, if just for that day and that moment, of necessity. “My cup runneth over.” I’m not bound by the material limitations of my existence. Not today. I expand and give. Like the Christmas carol: “A child shivers in the cold, let us bring Him silver and gold.” Not blankets, or food for His mom, or pampers. Luxury. Opulence.